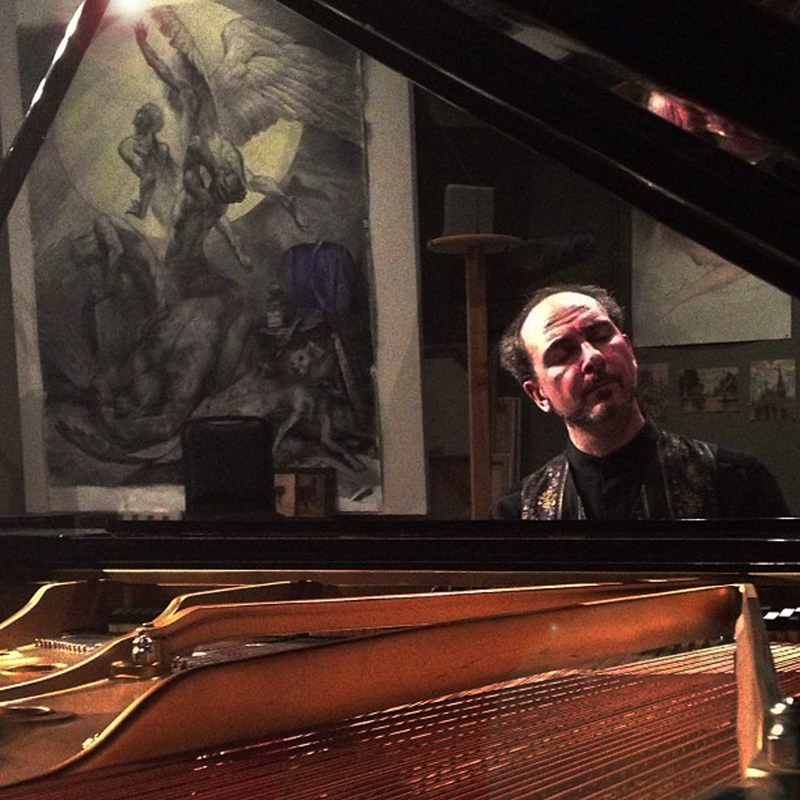 Pianist Jura Margulis has been internationally recognized for his compellingly communicative performances, as well as for the range of his tonal palette and his consummate virtuosity. Reviewers have praised the “absolute authority” of his interpretations and the sense of“controlled obsession” he transmits at the keyboard (Fono Forum). The Frankfurter Allgemeine Zeitung noted that his aesthetic is both “impulsive and contemplative.” The Los Angeles Times praised his “excellent pianism” and called him “highly musical”. The Washington Post applauded his “titanic reserves of sheer power” and his “effortless spontaneity.” The Fort Worth Star- Telegram called his performance “… the perfect Beethoven for the audience of our time… sweeping lyricism … imagination, originality, and good taste pervaded every phrase.” In August of 2011 Drehpunkt Kultur in Salzburg writes: "After the performance one fleetingly thinks of the pianists that became legends, but comparisons are impermissible. Margulis is a master sui generis (of his own kind)." His orchestral appearances include performances with the Russian National Orchestra at the Hollywood Bowl, the Montreal Symphony Orchestra under Charles Dutoit, the Südwestrundfunk Orchestra, the Memphis Symphony Orchestra, the National Orchestra of Venezuela, the Thailand Philharmonic Orchestra, the Prague Symphony Orchestra, and the Orchestra della Svizzera italiana. 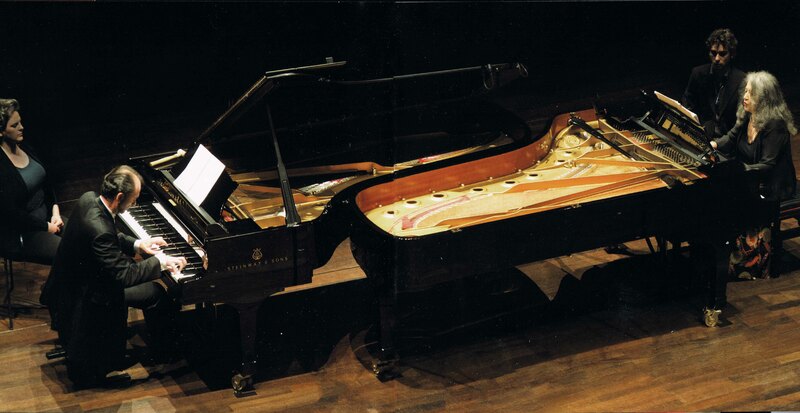 He has played in numerous festivals, including the Schleswig Holstein Musik Festival, the Berliner Festwochen at Berlin Philharmonic Hall, the Verbier, the Lugano, and the Sommets du Classique Fes0ivals in Switzerland, the Argerich-Beppu Music Festival in Japan, and the Salzburger Festspiele in Austria. Margulis won prizes in more than a dozen international competitions, including Busoni in Italy and Guardian in Ireland. He is also a recipient of the esteemed Pro Europa prize awarded by the European Foundation for Culture. 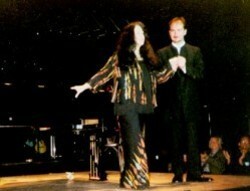 Argerich on two pianos in Germany, Switzerland, Japan, and the USA. Recent years have brought him to New York, Chicago, Los Angeles, St. Louis, Dallas, Cincinnati, Salt Lake City, Little Rock, Tulsa, Carmel, Austin, Phoenix, San Jose, Minneapolis, Memphis, and New Orleans in the US, as well as abroad to Frankfurt, Düsseldorf, Hamburg, Freiburg, Elmau, Berlin, Bologna, Bruxelles, Bayreuth, Budapest, Bangkok, Barcelona, Madrid, Yerevan, Warsaw, Aix-en-Provence, Lugano, Jerusalem, Tel Aviv, Tbilisi, Tokyo, Sapporo, Seoul, ShenZhen, Vienna, Salzburg, Moscow, and St. Petersburg. Margulis has recorded ten CDs for Sony, Ars Musici, and Oehms Classics, covering a wide spectrum of repertoire. These recordings have attracted substantial attention, including selection as a “reference recording” by Fono Forum, and inclusion on the “Bestenliste” of the Deutschen Schallplattenkritik (German Recording Review). His CD featuring piano transcriptions of music from Bach to Caplet (2007), received 10 out of 10 for “artistic quality” from KlassikHeute. The accompanying review stated: “not since Horowitz’s old RCA recording have I encountered a performance of Saint-Saens’ Danse Macabre that so grippingly leaps from the stage, as here in Jura Margulis’ own transcription.” The review also noted that Margulis’ own transcription of a little-known piece by André Caplet “should, like Ravel’s own transcription of his La Valse, claim a place in the repertoire of young pianists.” Klassik.com, also giving the CD its highest rating, raved that Margulis “cannot be praised enough.” Margulis’ Bach, Beethoven, Brahms, Berg solo CD was released in fall of 2009; All Music Guide writes: “This CD is one of the best played, best interpreted, best programmed recitals of piano music of the year”. In 2011 Margulis released a CD with the complete Liszt violin and piano duo repertoire with his sister Alissa Margulis. In 2012 a CD with Schumann’s Dichterliebe in original version and Berg’s Seven Early Songs with tenor Arnold Bezuyen was released. In 2014 Margulis released an all Schubert con Sordino CD on a MSP Steingraeber D-232 prototype. Fono Forum writes: "Margulis plays (Schubert) with an enthusiasm, a sensitivity, and a creative imagination that are near incomparable." In 2015 his latest CD was released with all original transcriptions of music form Bach to Shostakovich on the MSP Steingraeber D-232 including a piano duo with Martha Argerich of Night on Bald Mountain by Mussorgsky, also in Margulis’ original transcription – “… astonishing …” Piano News; " … demonic … a brilliant achievement ... " Pianiste. 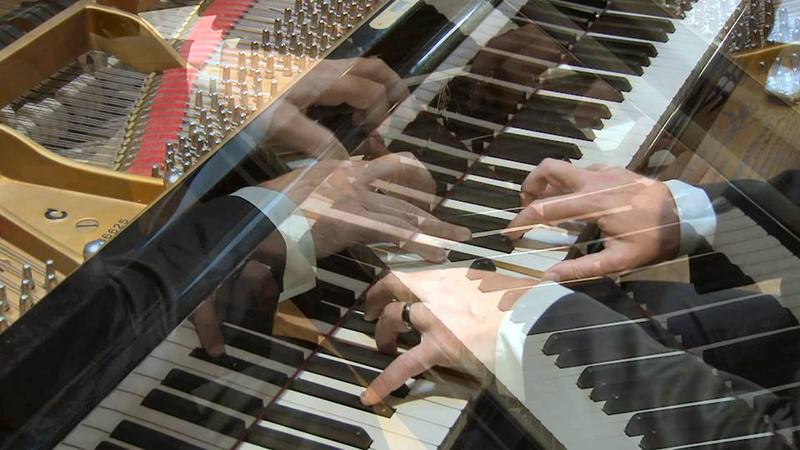 The MSP website, www.MargulisSordinoPedal.com, states: "The Margulis Sordino Pedal is a quantum leap for the dynamic (volume) and spectral (color) expressive palette of the modern concert grand piano." Over 50 titles of from his CDs can be found on iTunes. Jura Margulis's father and grandfather were pianists and pedagogues and methodical piano pedagogy is an integral part of his artistic vision. 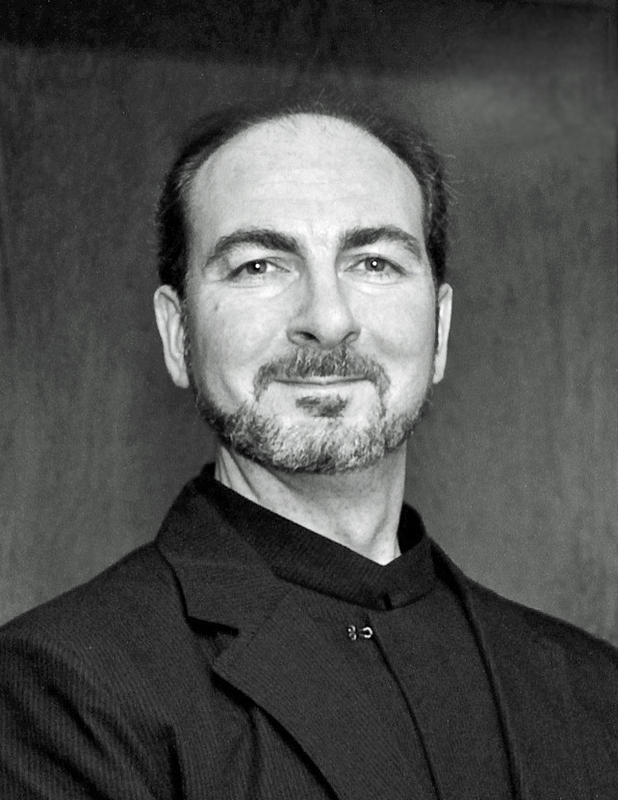 He developed a pedagogical concept named “The Unified Piano School, A synthesis of piano pedagogy and performance traditions”, which bridges the Russian School's concentration on sound, imagination, and physical technique, and the German School's focus on structure, rhythmic coherence, and style, and holds master classes in the US, Germany, Austria, Italy, Switzerland, Spain, Portugal, Hungary, Slovenia, Armenia, Israel, Russia, Korea, China, and Japan. Since 2010 he is the host of www.PianisttoPianist.com; a weblog of thoughts, observations, research, methodology, rules, exceptions, aphorisms, concerns, and secrets from pianist to pianist. 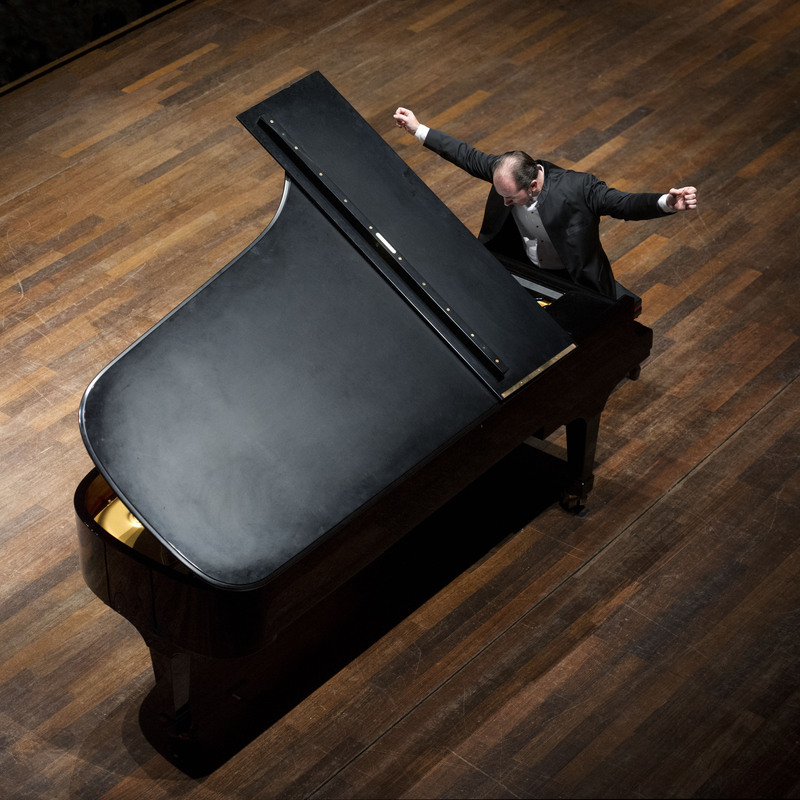 Margulis is the artistic director of the Fulbright Concerto Competition, an international contest for pianists in the US, and the executive director of the “International Piano Academy Freiburg”, a summer master class and piano festival in Germany. Jura Margulis is regularly invited as a judge in international piano competitions, most recently in the ARD Music Competition in Munich and the World Piano Competition in Cincinnati. Born in St. Petersburg, Russia, Jura Margulis was raised in Germany, where he studied with his father, Dr. Vitaly Margulis, at the Musikhochschule Freiburg. He was also a student at the prestigious Fondazione per il Pianoforte in Cadenabbia at Lake Como in Italy. He moved to the United States to study with Leon Fleisher at the Peabody Conservatory in Baltimore, and made the US his home. Since 2008 Margulis is the inaugural holder of the Emily J. McAllister Endowed Professorship in Piano at the J.W. Fulbright College of the University of Arkansas, Fayetteville. Jura Margulis is the host of www.PianistToPianist.com, a weblog of thoughts, ideas, concepts, observations, suggestions, research, methodology, discoveries, rules, exceptions, aphorisms, and secrets from pianist to pianist.